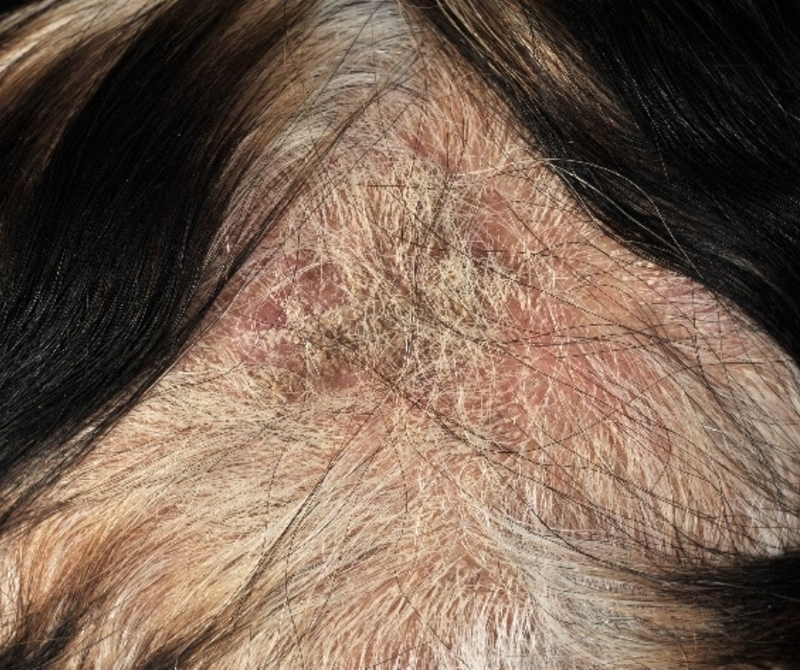 Solar urticaria: A case report. 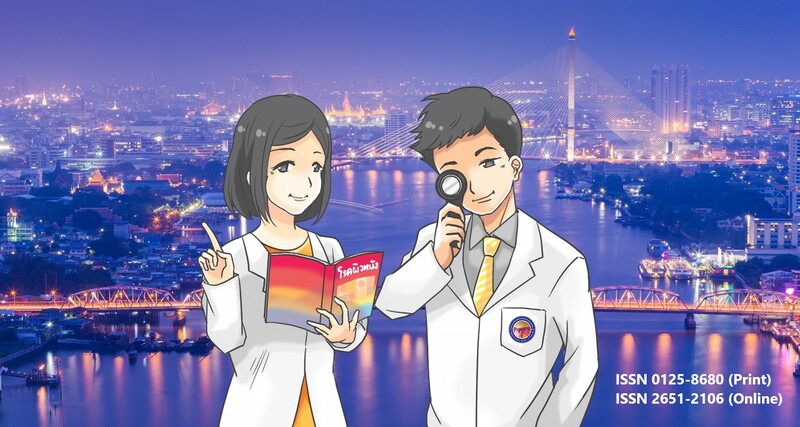 The efficacy of broadband infrared light for abdominal skin tightening treatment. 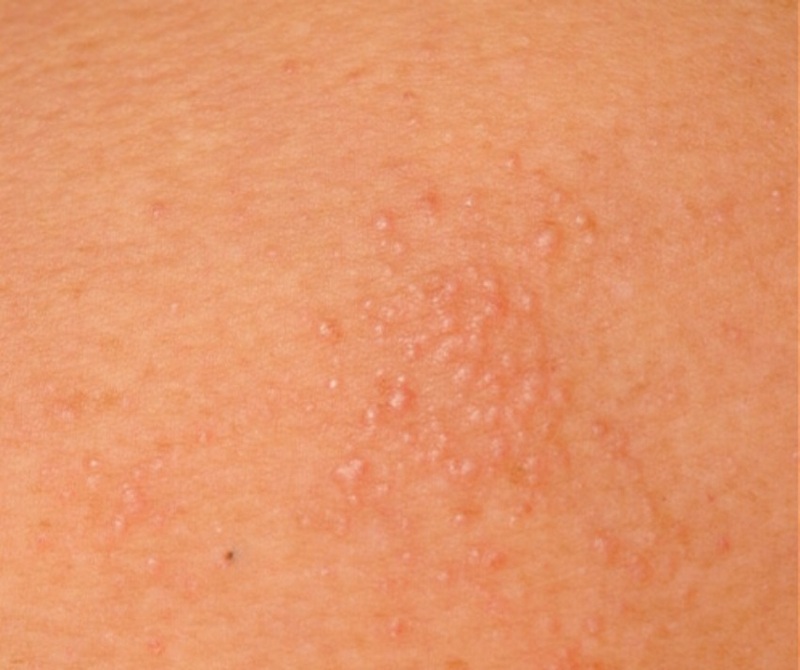 Polycystic Ovary Syndrome in Dermatological Practice. 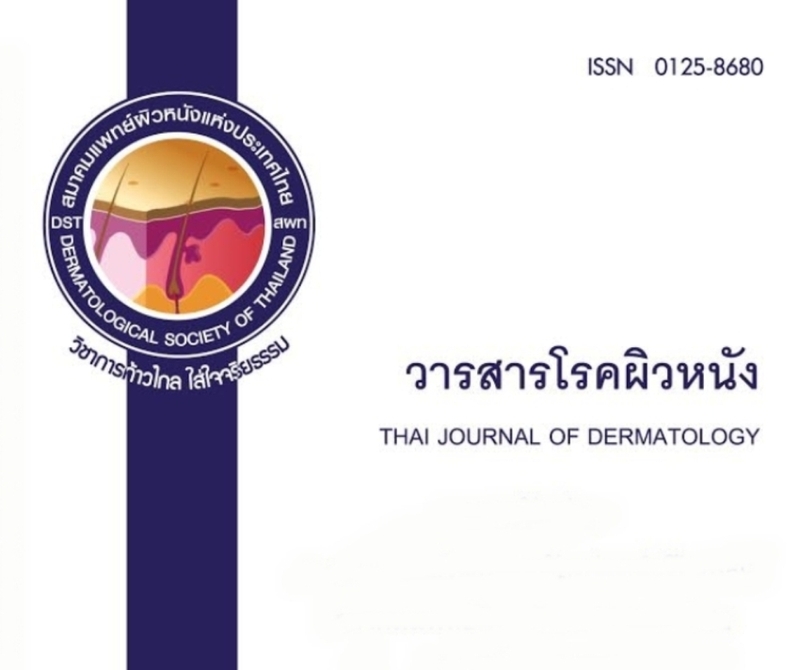 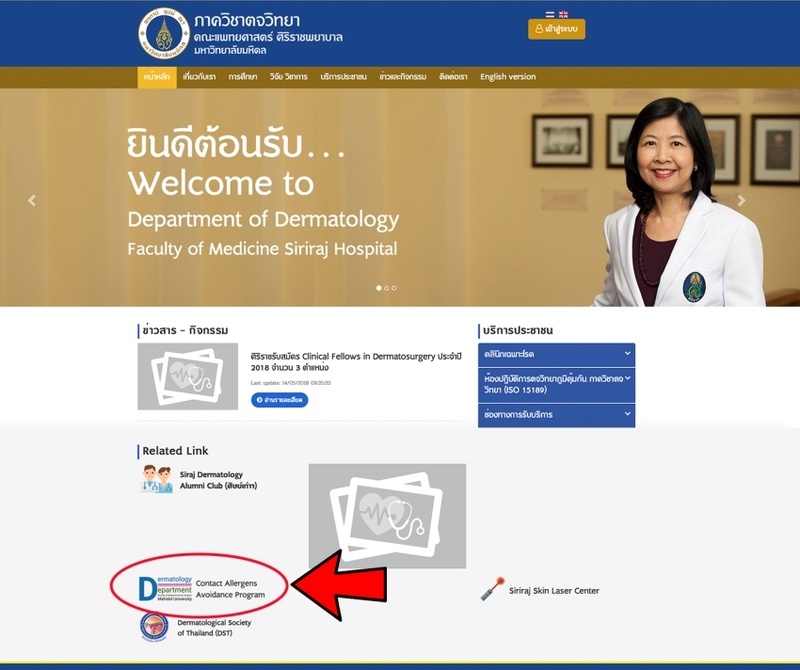 Etiologies and effect of systemic Corticosteroids on the outcome of Stevens-Johnson syndrome, Toxic Epidermal Necrolysis and Erythema Multiforme in Ramathibodi Hospital. 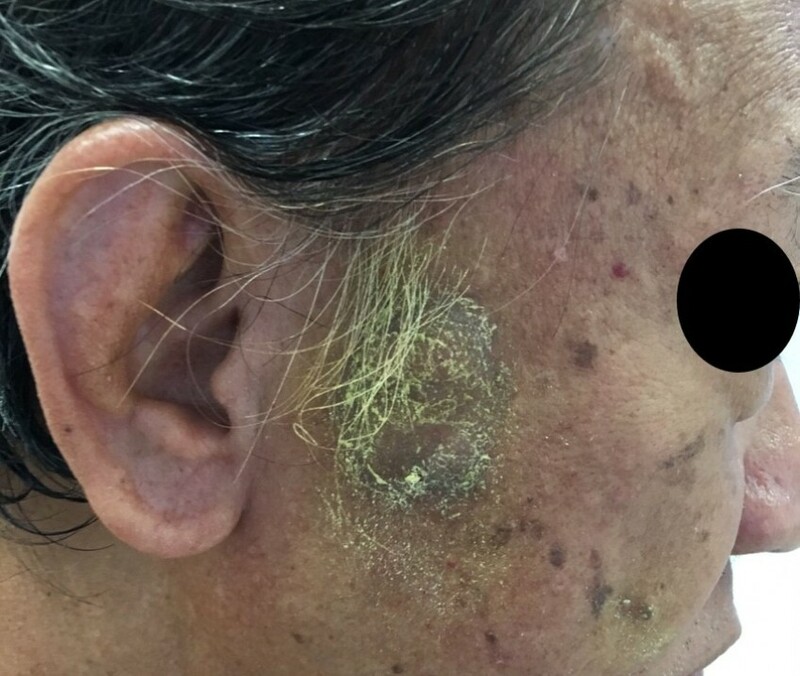 A Case Report of Febrile Ulceronecrotic Mucha-Habermann Disease in Thailand. 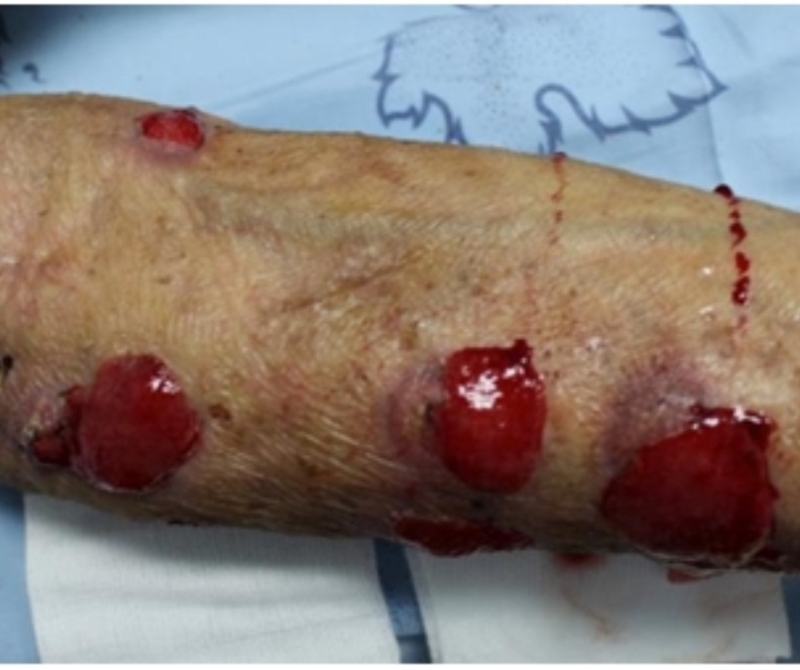 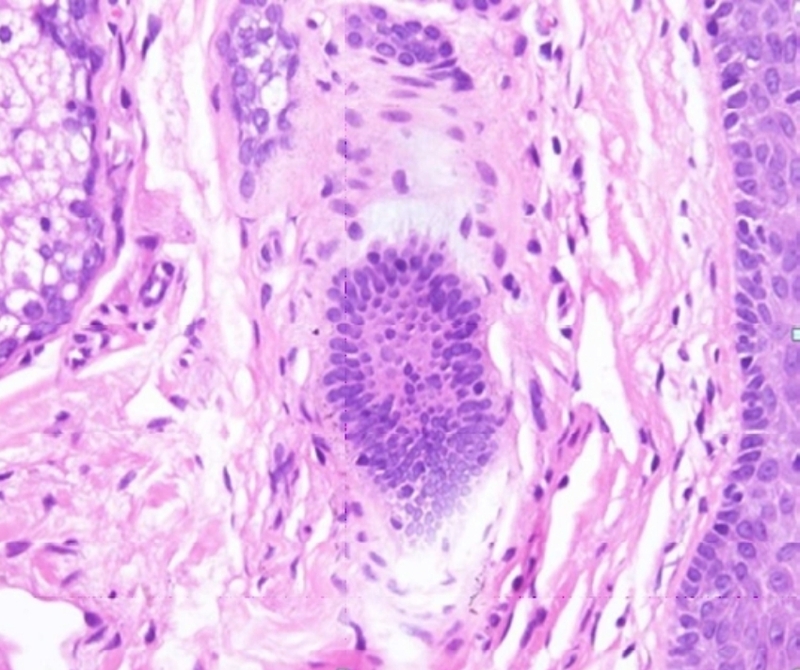 PASH syndrome with Etanercept treatment, a case report.